A lot of traders get confused on what kinds of stop loss orders to take. Experienced traders put limit orders and watch the markets while new traders watch the markets and take normal stop loss when they see the stock is moving against their trade. When things can be automated we should automate the process of stop loss orders. This is the Stop Loss Limit Orders. Once the trade is taken a trader can decide where to take a stop loss and keep that order in the system. If the stock comes near it and breaks the level, the stop loss limit order gets triggered. Do not get confused Stop Order does not mean that it is just the stop loss order, it can be placed to book profits as well. However to place a stop loss or stop profit order in the system there is a problem. When you put the first stop system either the profit taking or the loss, no extra margin money is blocked as the system knows it is only to close the order so nothing extra is required. But when you place the second stop or profit taking order it is considered a new trade and more margin is required. 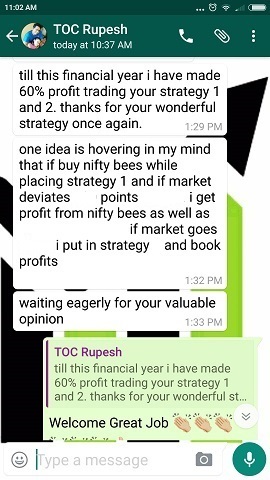 Let say you bought a stock for 100 and want to take profit out at 105. But you are in a hurry and leave your system but want to make sure you want to take a SL at 95. You are first worried about stopping the loss so keep 95 in the system as sell the stock at 95. Now as soon as you want to keep the profit booking stop at 105 this will be treated as a new trade. Your system does not care about your profit or loss. It does not have any brains. All it knows till now is that you bought the stock at 100 and want to sell it for 95, so no more margin is required. But as soon as you keep another stop sell at 105 it treats as a new trade as it considers the first one as the final stop, the second one as a new trade. So as soon as you keep another sell at 105 it will ask for new margin. There is another problem. Let say you had the margin and kept the stop loss at 95 and profit stop at 105 and left your system for the urgent work. Let us assume after 1 hour the stop loss is hit at 95 and the order is not complete, but the sell the stock at 105 is still alive in the system. Because the system treat edit as a new trade so why should it close that? Please note that you may consult about this from your broker as well. Some brokers have this facility to cancel any other trade in the same stock or option if one of the stop got triggered. However the second stop has to be in of same type and same stock same number of shares. For example if the stock was XYZ, then the second stop should be also be of XYZ. 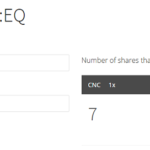 If the shares bought was 10 then the second stop should also ne 10 only. If the stock was bought for Intraday then the second stop should also be for Intraday not positional. Hope you got the point, everything – the type of trade, the indices, the number of shares all should be same only then the second stop will also get cancelled. But please make sure that your broker allows this or not. As far as I know most brokers only allow one stop else, they treat the second stop as a new order and ask for more margin plus they will not cancel the second order automatically, you will have to manually cancel the second order. That is the reason it is always better to hedge the trade as soon as you take the original trade. There is no tension there is no extra margin required. 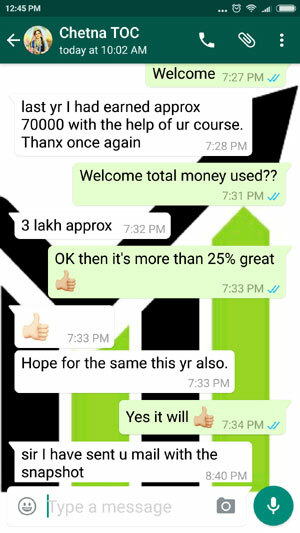 How to hedge the trades is properly explained in my course. 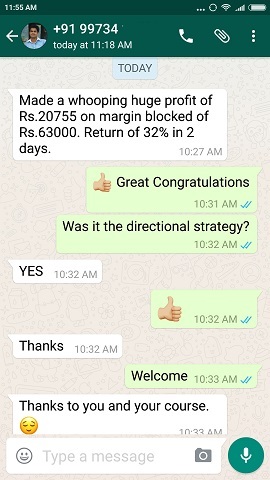 In Intraday It can be done via Bracket Orders But in carry forward its not possible. Yes Amit but the problem with Bracket Orders is that most just do not know. And most importantly trades from normal backgrounds or novice traders do not know about Bracket Orders at all. The above is explained in the same way it is written assuming you are not doing a Bracket Order, then the above applies. My analysis says in India very few traders know Bracket Orders – could be less than 10%. 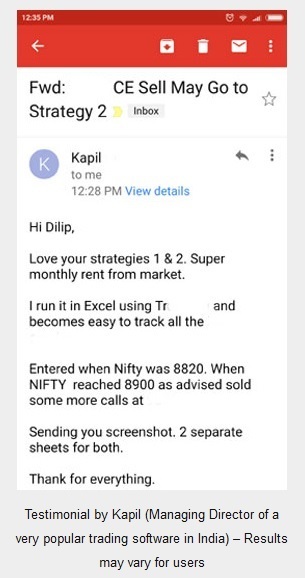 The reason I said consult your broker was the same – if they allow Bracket Orders its obvious they will tell him to use it. In any case Bracket Orders are Intraday product. All Bracket order trades will be squared off around 3.20 pm automatically by the system. You cannot carry forward Bracket Orders to the next day.